The Tánaiste has said he is "very concerned" at yesterday's evidence from two civilian members of An Garda Síochána's statistics unit which outlined how some homicides were not being properly recorded by the force. 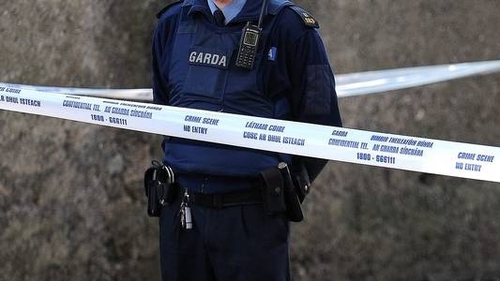 It comes after two civilian officers in the gardaí's statistics unit said that misclassifications and inaccurate recording of crimes by gardaí left some women at risk of domestic violence. Speaking at the Oireachtas Justice Committee yesterday, Deputy Head of the Garda Síochána Analysis Service Lois West said that following a ten-year review of domestic homicide, it became clear that there was a deficit of information on the garda PULSE system. The committee was told that when concerns were highlighted by Ms West and her colleague Laura Galligan, a Senior Crime and Policing Analyst, they were subjected to "severe pressure" to withdraw them. Ms Galligan told the committee how she and her colleague were "belittled and treated very poorly" when they tried to raise serious concerns about misreporting of homicides with senior officers. The matter was raised in the Dáil by Fianna Fáil TD Michael McGrath, who said the misclassification had left women at risk and there didn't seem to be 'any determination to get to the bottom of it'. Minister Simon Coveney said it was "totally unacceptable" that individuals raising misclassification of homicides would be persuaded in any way not to expose this. He said garda management were adamant that unlawful killings had been investigated, and the Government had not yet received any evidence to the contrary. Independent TD Clare Daly told the Dáil that senior gardaí had misled the Policing Authority on the misclassification of homicide figures. "It is irrefutable that the culture in the garda has not changed," Ms Daly told the Tánaiste during Leader's Questions. Deputy Daly also said the Policing Authority had "closed the door" on Ms West and Ms Galligan. Instead of hearing the women, she said the Policing Authority had gone to their bosses. The Tánaiste thanked the two women for coming forward, and said he wanted to reassure anyone who wanted to expose wrong doing that the Government would take them seriously and would act. "To say the Government is not committed to reform the gardaí, and holding people to account, is nonsense," he said. Meanwhile the Tanaiste also said the Government is committed to a second SAVI report, which documented sexual ebuse and violence and was last published in 2002. The Director of the National Women's Council of Ireland has called for a domestic homicide review "to get back on track" and be published as soon as possible. Speaking on RTÉ's Morning Ireland, Orla O'Connor said that in 2016 both the National Women's Council of Ireland and Women's Aid called for a review of domestic homicides. She said they were promised in 2016 by the then justice minister Frances Fitzgerald, that it would be published in February 2017 and "here we are in March 2018 and there is no review". Ms O'Connor said it needs to get back on track. "We need it to be completed and we need it to be published and that is a very important part of it. It happens in other countries and it is important in identifying risk factors," she said. Ms O'Connor said the review by the Garda Statistics Unit is concerning in that they came across "so many inconsistencies" and added it was also worrying that when the two statisticians brought it to light,"how they were treated". She said in the absence of the review completing, the gardaí are covering domestic abuse issues on a case by case basis but it is very piecemeal and both statisticians realised that. Ms O'Connor also questioned if the PULSE system is fit for purpose. She said: "It keeps being updated and there are so many human factors in it, that is one of the problems. "I think there is a question to be made, is PULSE fit for purpose? Do the guards need a new data monitoring system and one that lends itself to analysis?" Earlier Fianna Fáil’s Justice Spokesperson Jim O'Callaghan has said he is extremely concerned that the homicide review has not yet been completed. Speaking on RTÉ’s Morning Ireland he said in November 2016 it was brought to the attention of senior garda management that there were "very significant inconsistencies in the recording of homicide data". "The people who were doing the research were effectively ignored or sidelined for a period of ten months, after that and it was only in September 2017 that there was an acceptance by senior garda management that their methodology was correct." Mr O'Callaghan said the information that is being put on the PULSE system is not always correct. He said he is not sure whether it was due to incompetence or taking shortcuts. "The problem arises because information wasn't accurately updated on the PULSE system," he said. He said the failure to update the PULSE system with the correct information can ultimately hamper the investigation of crimes by gardaí. Mr O'Callaghan said he did not want to scaremonger but that "a lot of information needs to be put on PULSE and unfortunately in some instances that it's not being put on the system." He said what needs to be done now "is to allow the garda analysis service complete its work".